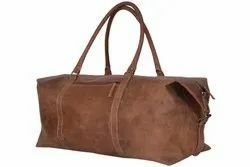 Our product range includes a wide range of leather toiletry bag, leather duffel bag, leather shoulder bag, leather messenger bag, leather tote bag and tan leather tote bag. With the support of our adroit professionals, we are engaged in manufacturing, exporting and supplying a wide range of Leather Bags. Handmade genuine leather duffle bag, a perfect partner for long journeys. This bag has a outer pocket and a inner pocket. Lined with cotton twill fabric. 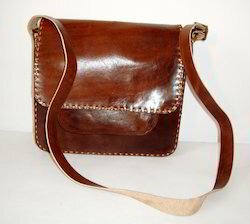 Handmade leather shoulder bag, eases your life to carry your belongings along with you anywhere. 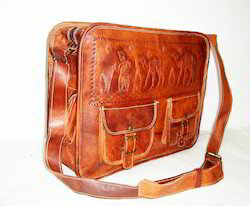 Handmade leather messenger bag perfect for both men and women. This bag lets you to carry all your day to day belongings. Lined with cotton twill lining. 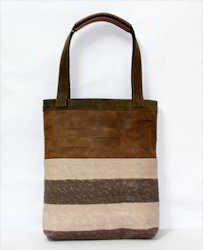 Handmade leather tote bag perfect for today's ladies to make their life easy. 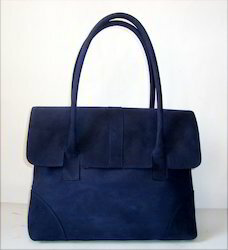 This bag is stylish enough to pair with anykinda attire. Perfect for keeping your belongings and travelling around the world. Packaging Details: Poly bag packing. 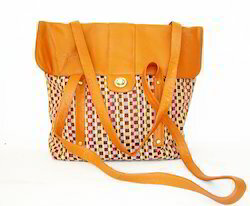 Tan Leather tote bag for everyday purpose. Price may vary according to the quality. Rug BagsAt MB Exports you will find a unique range of Rug Bags that are crafted for today’s fashion needs. There is a wide variety of materials, designs and sizes to suit precise requirement of buyers. These bags offer a smart way to carry different objects with optimal comfort. Enticing designs, comfortable handle and durable construction make our Rug Bags suitable for daily use. Also, these are designed to be spacious and lightweight in nature. Made according to the latest trends of the market they are multipurpose and stylish. 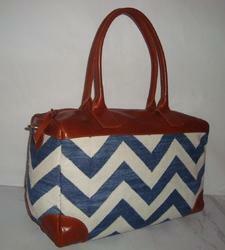 All such aspects of these bags make them a must have item. 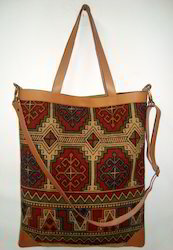 Antique design handmade kilim sling bag. 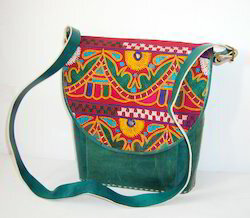 Unique colourful kilim sling bag. 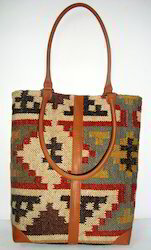 Handwoven kilim case, great Travel bag , natural looking item for everyday use. Thick hand cut sewn raw natural leather with antique brass fitting. Owing to our expertise, we are engaged in manufacturing, exporting and supplying superior quality Grey Backpack. we have been the renowned manufacturer, exporter, and supplier of a qualitative range of Handmade Rug Bags. 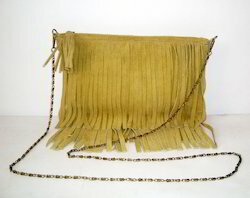 Antique designer leather handmade bag. 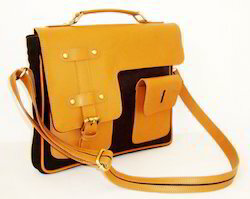 Perfect combination Shoulder bag . 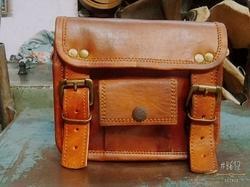 Ideal for new generation leather bag. Grey Canvas messenger / laptop bag - fits a 13 inch MacBook Pro. 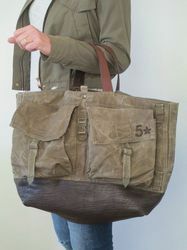 A great canvas and leather bag for men and women. 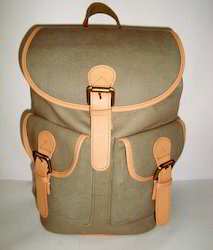 Made with a strong heavy weight cotton canvas fabric in a moss green for the exterior. outside: ther are two pocket where you may use it to keep pen-drive and so on. Inside: there is not a pocket to keep your laptop safe. On the Back: one Pockets with a extra look. Leather Strap and a magnet Closure. 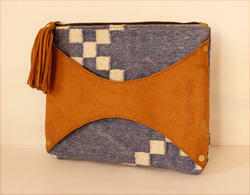 100% genuine leather handmade fabric women bag. 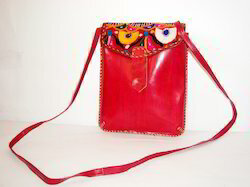 Antique design handmade shoulder bag. Unique red colour with hand made design embroidery. Unique size comfortable leather bag. New leather handmade fabric women crossbody bag. Unique colour many using bag. women use sopping, office, college ,party, bike riding. bag. long and comfort strap in bag. full leather handmade fabric stitch purse. Unique colour combination in handmade fabric. Owing to our expertise, we are engaged in manufacturing, exporting and supplying superior quality Canvas Bags. 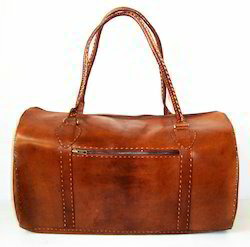 Leather with handmade rug duffle bag. Antique design handmade duffle bag. Closure zipper any pocket duffle bag. Ideal for new generation duffle bag. Everyday use Travel,gym,etc duffle bag. 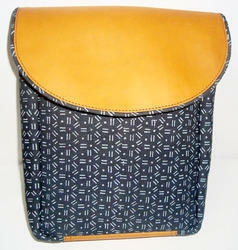 Owing to our expertise, we are engaged in manufacturing, exporting and supplying superior quality Cross Body Bags. An eco-conscious choice, the Brown Leather messenger Bag will be a great addition to wardrobe.A perfect gift women desires. 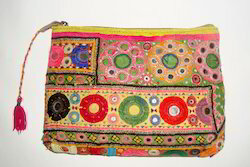 *This vintage purse is made in India, with multicoloured embroidered antique fabric, coins,mirrors. *Top quality canvas and 100% Genuine leather for Christmas special. *This backpack is made by pure leather with the brilliant designer. 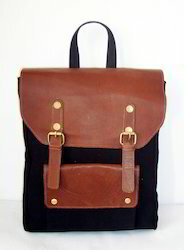 *This leather backpack is 100% handmade. *Two magnetic pocket outside and one inside zippier pocket with the two small pocket beside of it. 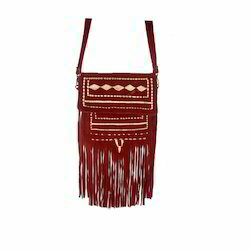 *One pocket outside leather cover and shoulder strap length is freely adjustable. 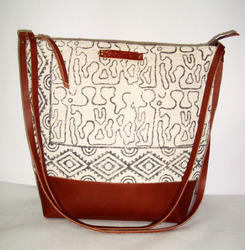 *The bag is made by skilled artisan with the full dedication and contribution. 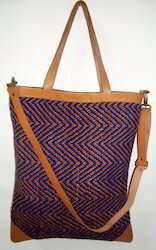 Handmade kantha leather designer handbag. Antique fitting and leather strap women use bag. 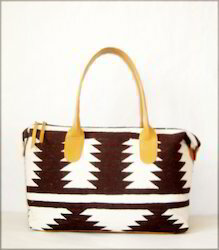 *Handwoven kilim case, great Travel bag , natural looking item for everyday use. 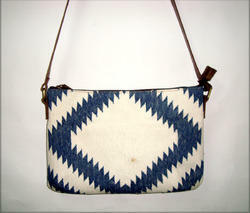 Antique design handmade rug sling bag. 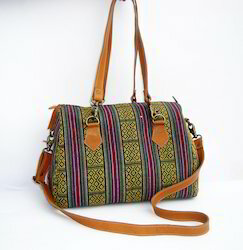 Handwoven kilim case, great Travel,sling bag , natural looking item for everyday use. We are a leading manufacturer and exporter Reusable Bags. 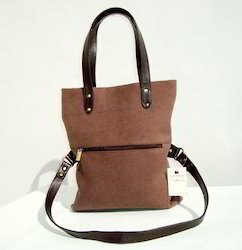 We are among the well-known manufacturer, exporter and supplier of excellent quality range of Canvas Bags. This is designed by utilizing top grade material and modern technology by vendor’s talented & creative professionals. New black leather handmade women shoulder bag. Antique design pure leather handmade bag. 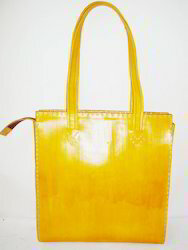 Ideal for new generation use office, College, shopping,Travel, everyday use etc bag.